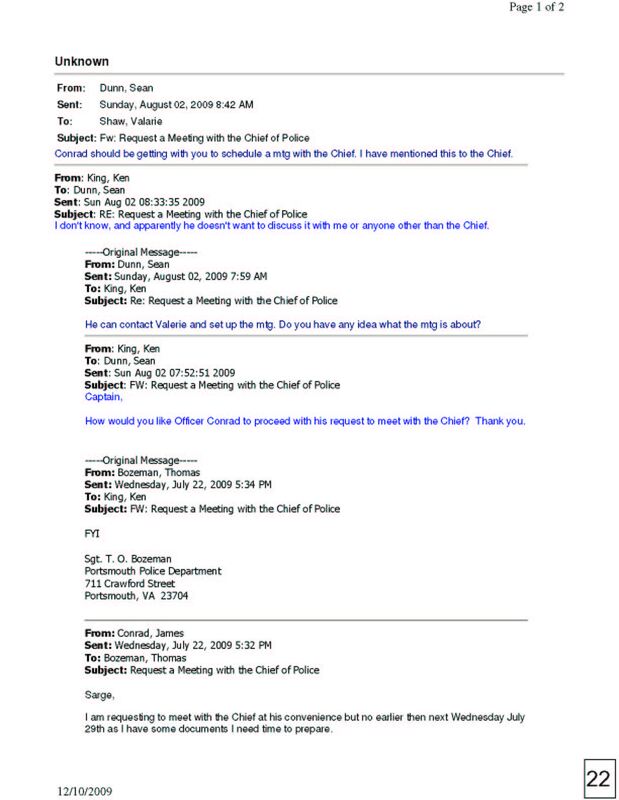 This is a copy of an email that was sent by Portsmouth Police Department Captain Sea Dunn which states that he had “mentioned” the meeting request to Chief Hargis. Chief Hargis in sworn testimony states that he was never made aware of the request to meet. So who is lying?